My wife went down to Toronto for day surgery. During that surgery, the specialist working on her severed her internal lilac artery. She bled out into her abdomen , crushing all her organs and bowels. She suffered for 8.5 hours, during which time she coded. They refused her repeated requests to call me and gave her the "Last Rights" twice. 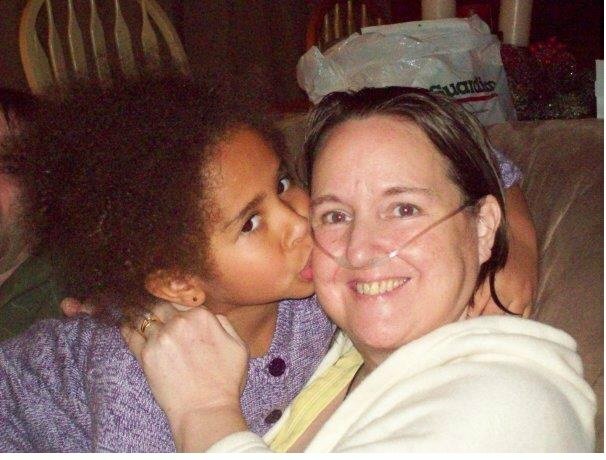 She then survived another emergency 11 hour surgery that night and was put on life support. The only reason she had the surgery was because she didn’t die from the first one, like they expected. She was 47 at the time and a mother of 5 children (2 natural, 2 step children and 1 adopted daughter). Her adopted daughter was there that day, only 5 years old. My wife has since adopted the half sister of her adopted daughter. Before this, my wife was healthy, fit and kind. Many people in Huntsville know her and they’ll all tell you the same thing. What she went through and is still going through, reads like a Steven King novel, I’m not exaggerating in the least. She worked in the Nursing field for many years. She has tried to reach out to the Law, however in Ontario you must find the Dr. negligent before you can sue. Meaning he can make all the mistakes he wants but is NOT held responsible. “Accidents happen”, Dr.’s are no different. Yet if we got into an accident while driving, took our eye off the road for just a moment and hit someone during that moment, seriously maiming and leaving them crippled , riddled with pain and disfigured, not to mention severely shortening their life span, we would be held responsible. This specific medical mistake is not even something they warn you about that could possibly happen. In fact, it’s very rare and most people don’t survive. She has and still continues to break many records, just still being alive is one of them. She is trying to have the laws changed in Ontario and hopefully across Canada so that Dr.s are made responsible for their ”mistakes” just like everyone else. Perhaps they should reconsider treating each patient as a human being with equal value to them, as apposed to just a number and a paycheck. Also to start forcing , “Specialists ” to take a compassionate course given by the very patients they have harmed and their families. The ones they have ruined. After complaining to the college I was told they found nothing wrong.